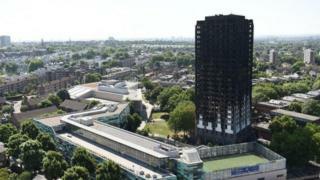 The Grenfell Tower fire has prompted an investigation into incomplete records of gas pipes in high-rise buildings.Cadent Gas, which operates and maintains local pipes in four regions of England, said some blocks were omitted from its 10-year survey.The company alerted energy regulator Ofgem, which is now investigating.The incomplete records emerged after Cadent received an information request from a council in the wake of the Grenfell Tower tragedy.Information given by Cadent to Ofgem suggested that 1,000 premises were missed off the records, but Grenfell Tower was not one of them. Cadent Gas, previously known as National Grid Gas Distribution, is one of four companies that oversee the final leg of piping gas into people's homes, known as distribution. Reality Check: Why does Labour want to control National Grid"As a consequence, we informed Ofgem at the earliest opportunity in early February and have continued regular progress briefings to date. "Alongside this, we immediately implemented a survey recovery programme to resolve the issue as quickly and effectively as possible. This programme of work will be substantially completed in July 2018. "Ofgem said it was now investigating whether Cadent kept and maintained records for all of its risers, whether it has the appropriate systems in place to do so and whether it maintains an efficient and economical pipeline system.